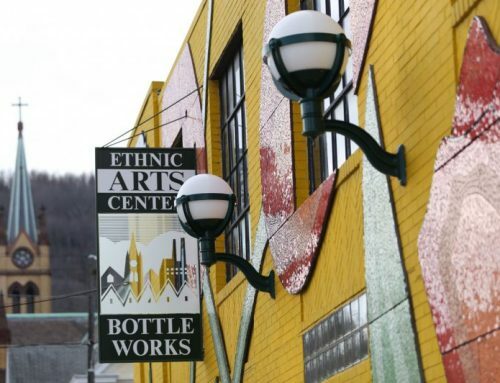 The Cambria City Cultural Partnership completed its first year of existence in November 2018! 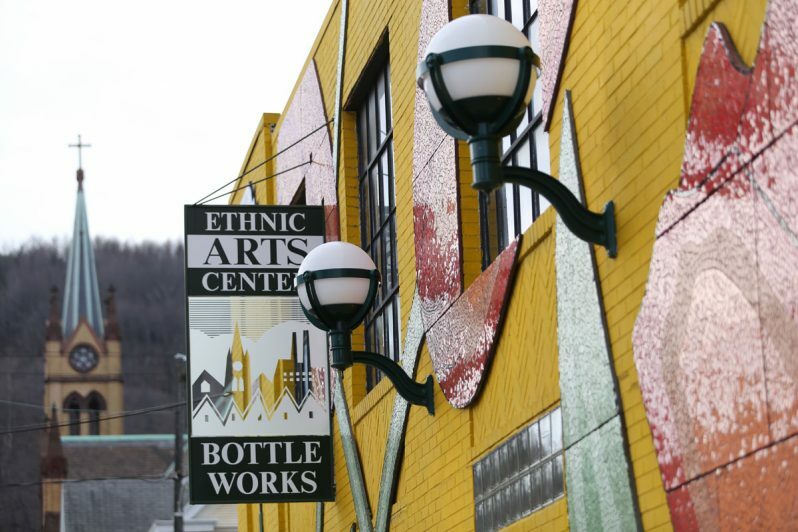 The partnership is a cooperative funding agreement that provides matching funds for capital improvements to Bottle Works Ethnic Arts Center, Dance Works (Johnstown Concert Ballet), The Steeples Project (1901 Church), and Venue of Merging Arts (VOMA), and eventually more cultural entities in Cambria and Somerset Counties. The new green roof on the Art Works building is near completion, with an anticipated June grand opening. Pop Plaza parking lot and Bottle Works building renovations are scheduled for 2019. Five needed renovation projects were completed in the Grand Halle (former Immaculate Conception Church), notably extensive repairs to the building’s copper roof. The removal of the tree growing in the former St. Columba belfry is fully funded and will take place soon. VOMA was able to expand their roof project to include not only the main building, but also the parsonage house. VOMA completed gallery painting as well as improvements to the facade and lighting. Construction of an elevator in the Dance Works building has begun. A property adjacent to the building has been purchased for use as a parking lot. The four current members – and the partnership itself – have been able to leverage significant additional funding from a wide range of other sources, further amplifying the partnership’s impact. It’s been a very successful first year, and we look forward to the partnership’s continued progress in 2019.